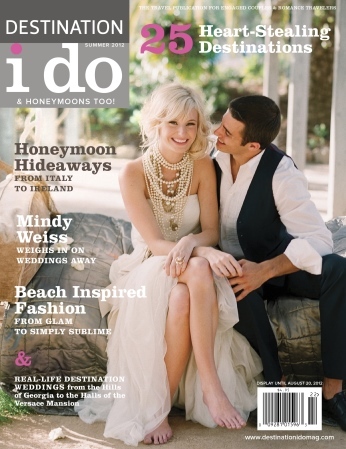 Inside you will find all the helpful information and beautiful real weddings you’re used to seeing, along with some exciting new destinations. For couples considering a domestic destination wedding, we have hot spots from all over the U.S. including Montana, Napa, Virginia and Vermont, to name a few. Other exciting locales include Barbuda, St. Thomas and Hawaii. 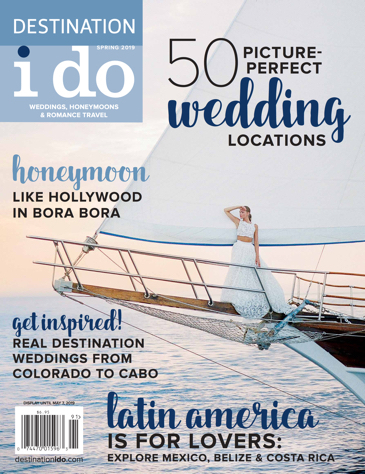 Whether you want to say “I do” in the mountains or on the seaside, there’s a featured property and our insider scoop to help you decide.